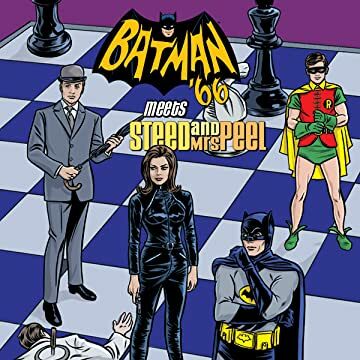 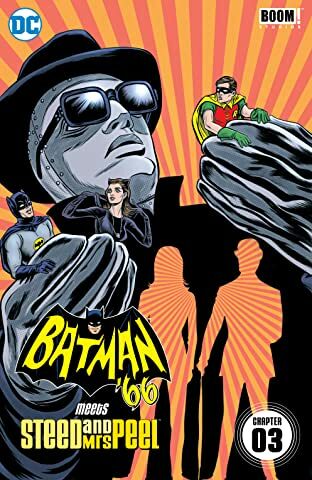 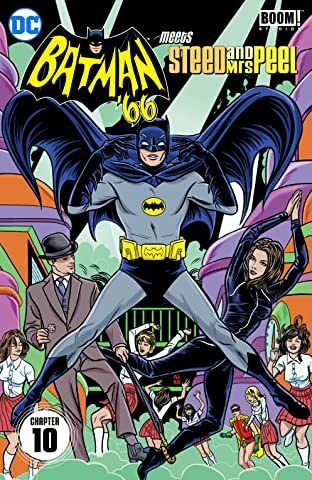 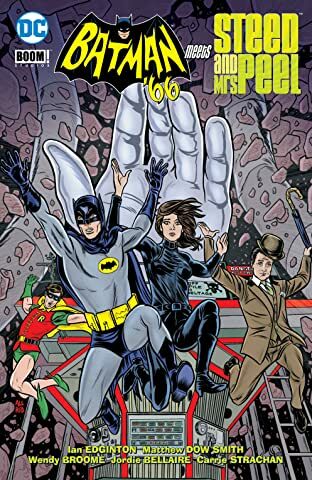 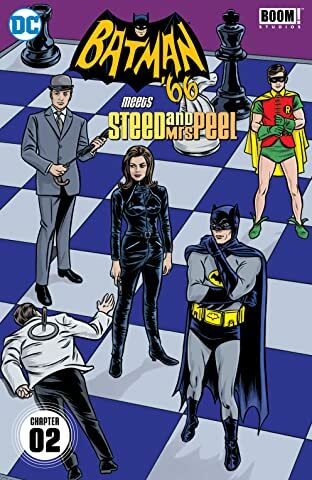 Batman and Robin are quite capable of taking on the felonious feline Catwoman, but when catsuit-clad lovely Mrs. Peel and her comrade John Steed arrive in Gotham, the Dynamic Duo are happy for an assist! And when the situation turns into a transatlantic adventure, they return the favor in swinging London—taking on Lord Ffogg and the Cybernauts in return. 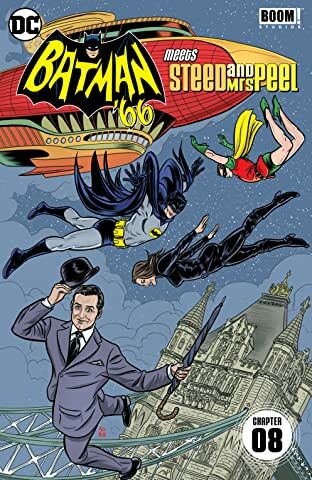 England swings and so do the Dynamic Duo in this historic pairing of two of the hippest shows from 1960s television. 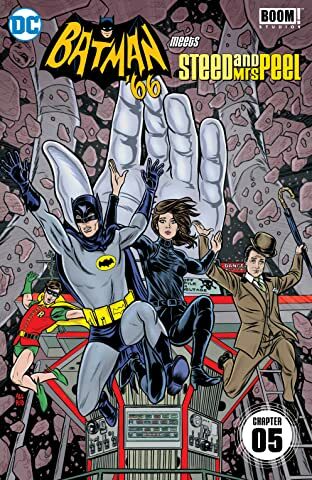 DC Comics and BOOM! 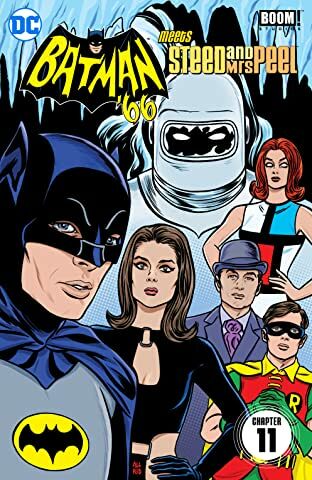 Studios join forces to bring these iconic characters together for the first time! The Avengers and Steed and Mrs. Peel are trademarks of StudioCanal S.A. ® Copyright © 2016 StudioCanal S.A. All rights reserved.